Revealed Here, Barbecue Cooking Secrets, BBQ Tips, and BBQ Recipes... You Can Use Tonight! Hi, my name is Bill Cannon. I've been on the Food Network and local Houston TV stations over the last nine years telling some of my BBQ tips and secrets. 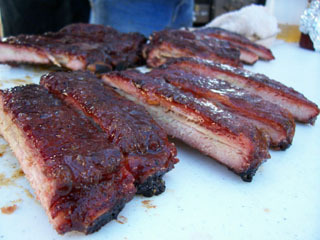 I cook BBQ for thousands of people every year just for the pure leasure of it. Right Here, Right Now, I'm going to reveal to you more tips and secrets than ever before!!!! But first, subscribe to our FREE monthly newsletter; "BBQ MADE SIMPLE" and get even more proven recipes and tips that will make you the king of the grill. PLUS, subscribe today, and I'll immediately send to you my exclusive report: "Tried and True Championship Recipes" that will separate you from the rest of the BBQ'ers.